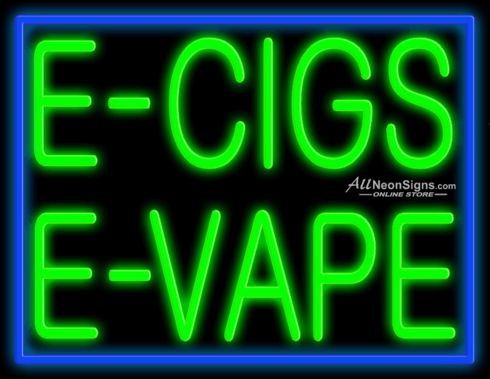 This E-Cigs, E-Vape neon sign features neon blue and green lettering on a black, plastic backing, which is perfect for optimal visibility. Advertising with this sign will help promote your E-Cigarette and E-Vaping products. This sign is 24” tall and 31” wide.